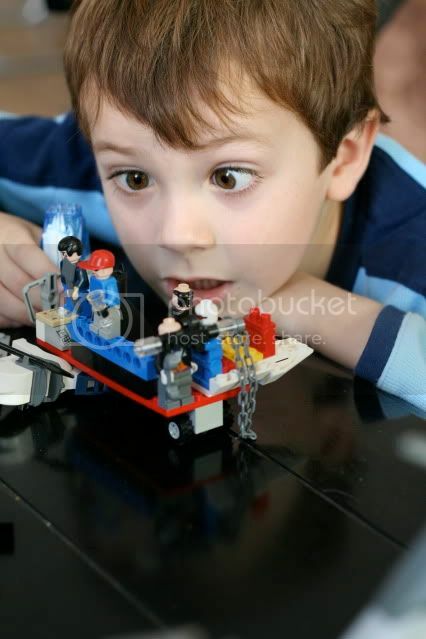 To say that he is obsessed with legos is an understatement. He is just fascinated by them. Sits and looks and plays with them for hours. He can play with them in peace when the other boys are at school. When they get home it usually involves tears. Looks happy here. That is how I like to remember it. I got a fairly good shot of each of the boys and put up my own photos on the wall. I think they look pretty good. They do look great! Good job. What a talented picture taker you are. I love them! And thanks for the pics of Pete yesterday, he is too cute. Those photos of the boys look great! Kent and I really need to come to Arizona soon, so we can see all of the Hatch cousins. I'm pretty sure I haven't met your two youngest boys. It is high time. Whitny-they look great!! Wow, your pictures are just so nice-I have to talk with you soon! 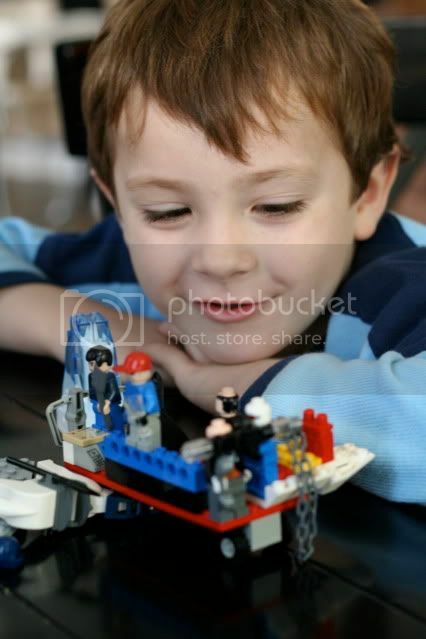 Jake's 12 and he still loves Legos! I keep thinking he's going to turn a corner and not want to play with toys anymore, but I think this obsession is going to linger. 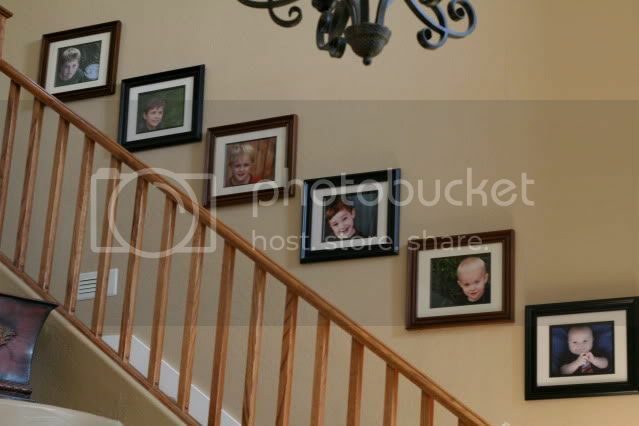 I love your staircase gallery by the way! Will you e-mail me the stats on your camera? We've got to invest in a new one. 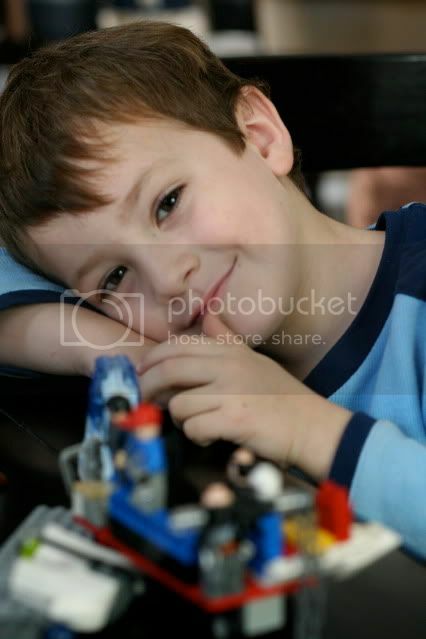 Your pictures look awesome..doesn't hurt that your boys are so cute!! Love the stair steps pics! Your boys are gorgeous subjects (is that okay to say about boys?) and you are developing :) into an excellent photographer. I love the new blog name -- it says it all.